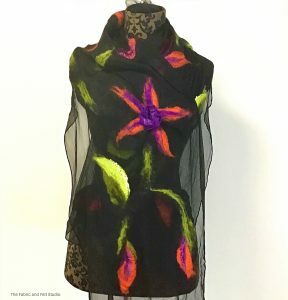 This particular scarf is made using the Nuno Felting* method. 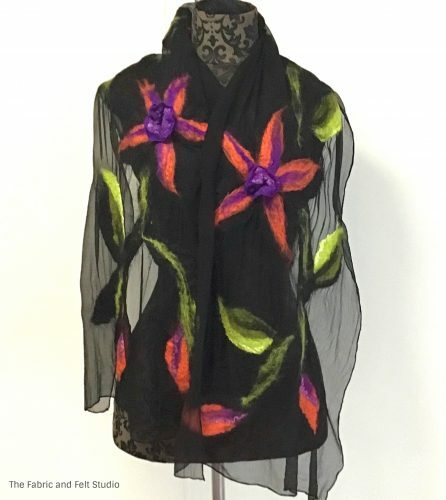 Using a black silk georgette base I laid out a wool design of flowers, vine and buds then using a “resist”** method added a three dimentional floret on top of the flowers. I then added some silk tops to add highlights. It measures approximately 160cm long and 40cm wide. 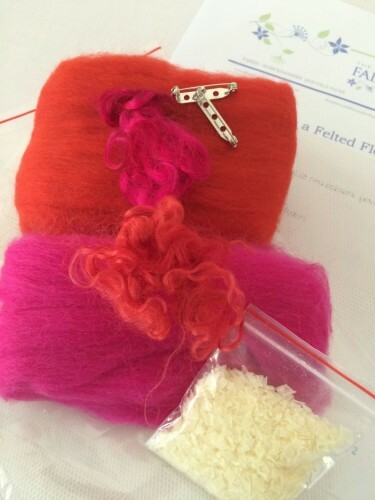 *Nuno felting is a fabric felting technique developed by Polly Stirling, a fiber artist from New South Wales, Australia, around 1992. 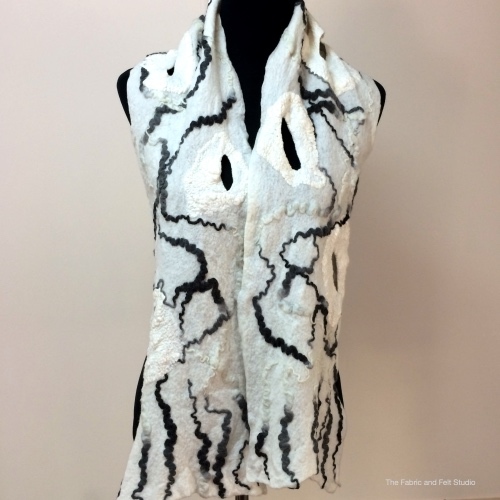 The name is derived from the Japanese word “nuno” meaning cloth. 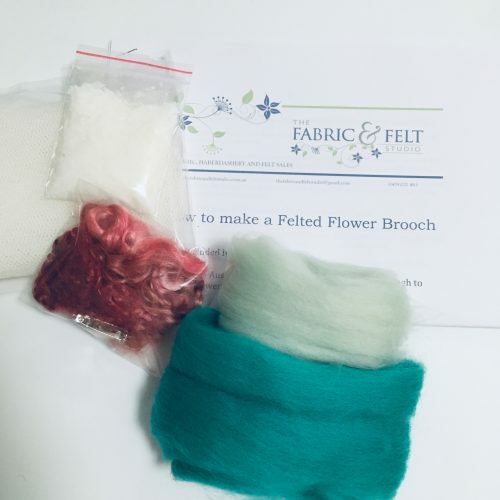 The technique bonds loose fibre, usually wool, into a sheer fabric such as silk gauze, creating a lightweight felt. 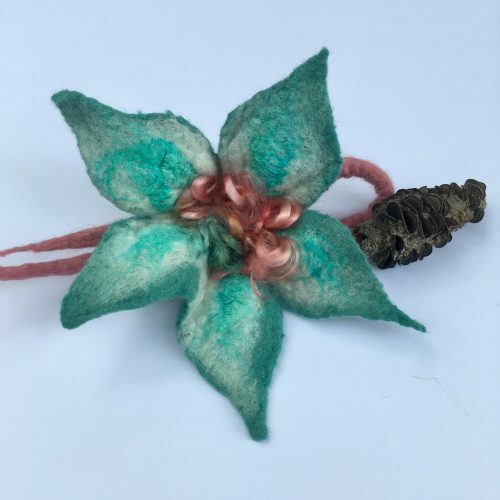 **Resist in felting is just using some flexible material such as bubble wrap or light weight plastic in between layers of wool to stop them from felting together to create a 3D effect.